In the orchestra of chirps and trills at the National Zoo’s Bird House, one basso profundo boom has fallen silent. Darwin, Smithsonian’s beloved emu, was humanely euthanized on August 3 after a short period of what care staff believe to be age-related symptoms. Whether he was sprinting in circles for visitors or happily hooting at Bird House keepers on their morning rounds, for 21 years, the emu held a special place in the Zoo’s community of characters. At the time of his death, Darwin was likely in his mid-to-late 20s—well into what is considered old age for his species. 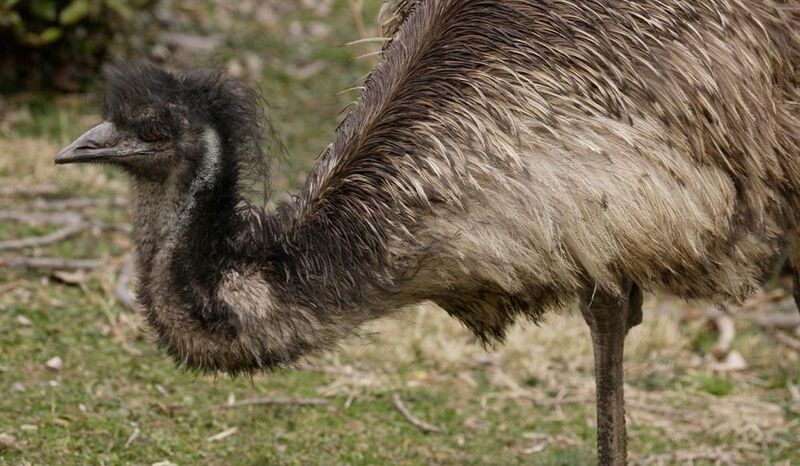 The longest-lived emus have all been zoo inhabitants, only occasionally surviving into their thirties; in their native Australia, 10 to 20 years is a typical lifespan. Bird House staff first noticed that Darwin’s concerning behavior earlier this month. According to Sara Hallager , the National Zoo’s curator of birds, Darwin seemed lethargic, had stopped urinating and defecating, and didn’t have much of an appetite—even when treated to his favorite foods like grapes and roughage. Concerned keepers immediately conferred with Hallager, and, to rule out any severe illness, a team of veterinarians performed a series of diagnostic tests on Darwin the morning of August 3. Zoo veterinarians took blood samples, performed X-rays and provided Darwin with fluids, pain meds and appetite stimulants to ease any possible suffering. But as Darwin recovered from the anesthesia, it quickly became clear that he was having trouble standing upright. After veterinarians confirmed that his prognosis was poor, the staff made the difficult decision to humanely euthanize Darwin rather than subject him to more distress. Currently, the Zoo is hard at work on a final pathology report, which could reveal more information about any complicating factors in Darwin’s death. Though he was celebrated at the Zoo, Darwin’s pre-Smithsonian life will likely remain forever mysterious. 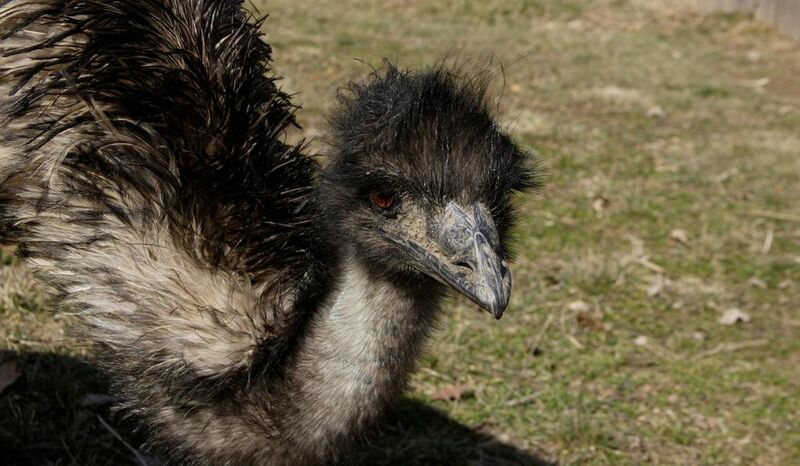 A private citizen in Maryland donated the emu to the Zoo in 1997, but only a sparse record of his early years—including the origins of his name—remains. Darwin first set down roots at the Cheetah Conservation Station exhibition, contentedly sharing space with a troupe of wallabies. He relocated to the Bird House 15 years later, in 2012, where he lived out the rest of his days enthralled in his favorite pastime: entertaining the public. As the only member of his species at the National Zoo for most of his life, Darwin never fathered any offspring. Had he mated, Darwin would have served as the primary caretaker for his chicks, beginning from the early days of nest-building. Emu eggs, often noted to resemble smooth, hefty avocados , can weigh up to 1.4 pounds, hatching chicks (including identical twins, a delightful rarity in birds) that stand about 9.8 inches tall. Hallager describes the chicks, which sport brown-and-white pinstripes, as “adorable… little watermelons.” Fathers will devotedly tend their young through the first year and a half of their lives, tutoring them in the arts of foraging for food and skirting the likes of dingoes and foxes. Fully grown emus can, at over 6 feet, tower over even the average human. Though their spindly stature leaves most of their mass in their torsos, emu legs are powerful—uniquely so: the late Darwin and his relatives comprise the only bird species known to have calf muscles . And these leggy juggernauts can run: slender though their limbs may be, they buoy these birds to seven-foot vertical vaults, sprinting speeds of up to 30 miles an hour and a stride that can be almost 9 feet long. But Darwin seemed to enjoy life as a birdy bachelor. Among the animals at the Zoo, he seemed to hold a permanent seat at the cool kids’ table, even winning over a fierce cassowary —a femme fatale of a bird that earned the apprehension of even the most seasoned keepers—with his neighborly congeniality. But what Darwin truly seemed to live for was human companionship. In his time, he stole the hearts of millions of Zoo visitors. According to Cooper and Hallager, Darwin was deeply bonded to his caretakers and the public alike, often sprinting around in circles and hopping up and down with joy when particularly large crowds frequented his home. As testament to his charisma, Darwin’s antics even inspired a poem from a charmed (and slightly miffed) patron, published in the Washington City Paper in 2012. Over time, Darwin became a bit of an “educational ambassador” for his species. Cooper fondly credits Darwin with “really nicely introducing the public [to his species and their relatives].” While emus are currently listed as “ least concern ” by the International Union for Conservation of Nature, their populations remain under threat from drought and wildfires, and human encroachment on their territory has decimated communities that used to run the eastern coast of Australia. However, new flocks have sprung up in the Australian Outback, where emus nosh on agricultural plantations typically intended for livestock. What’s more, Darwin was a progressive—walker, that is. Emus are supposedly one of several animals that will not walk backward . It remains unclear if this is due to obstinance or a physical limitation (like that of the kangaroo, another never-regressive whose range of motion is limited by its gargantuan tail), but so far, researchers have not reported a moonwalking emu. Darwin's presence will be deeply missed by all. Once, Cooper recounts, Darwin’s charms even stopped a pair of dedicated joggers passing through Zoo grounds, completely oblivious to Cooper’s existence. “They wouldn’t speak to me—but they’d interact with him,” Cooper says with a laugh. “What other bird could do that but Darwin?"